Having a child is one of the biggest health risks in many places in the world. Pregnancy, protected with health guarantees in the countries with more resources, costs the lives of 800 women a day in developing regions. HEALTHY PREGNANCY is an invest on quality sexual and reproductive health services based on diagnostic tests specially designed for rural areas, to ensure the right to a safe maternity in developing countries. 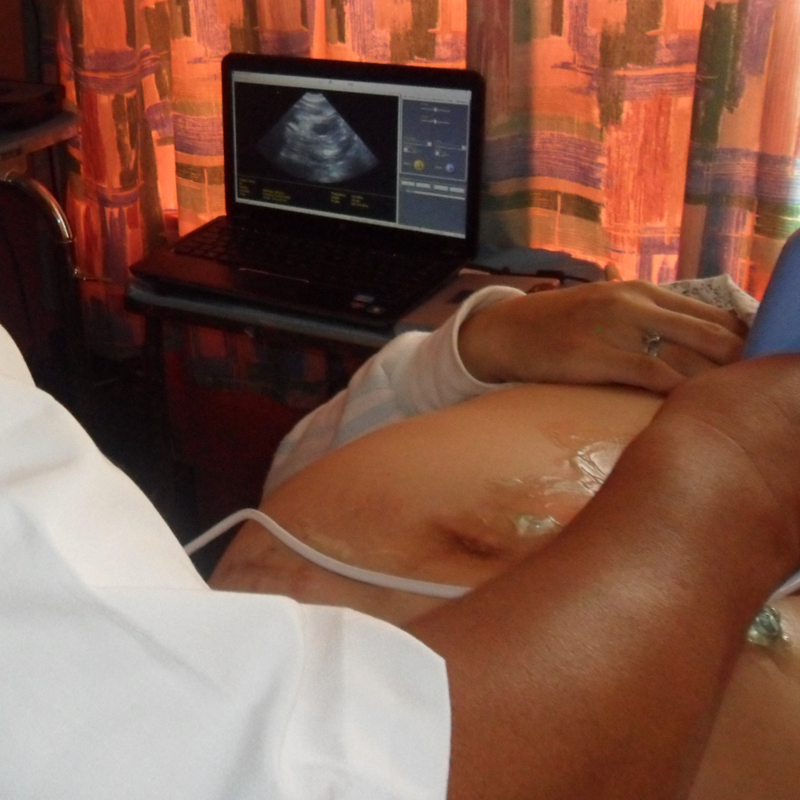 The health situation of the population in Guatemala has improved over the last decade. However, crucial differences remain between some regions of the country, especially regarding maternal health in rural remote areas. The lack of health services provided in these regions is relieved by itinerant health brigades who carry out regular checkups in communities. However, maternal and newborn mortality rates remain a problem of great importance. Clear examples are rural zones of Alta Verapaz and San Marcos where this project is developed, with large indigenous population and limited access to health services, where until 210 women and nearly 2,000 babies die for every 100,000 children born, an alarming contrast to a country like Spain where 6 women die for 100,000 labors. This alarming rate is due to the serious pregnancy complications that are not detected in time, and result in difficult births performed in rural areas with serious deficiencies in health care services. These obstetric problems and infections could be easily detected through quality health controls with appropriate equipment such as the ones that exist in urban areas. 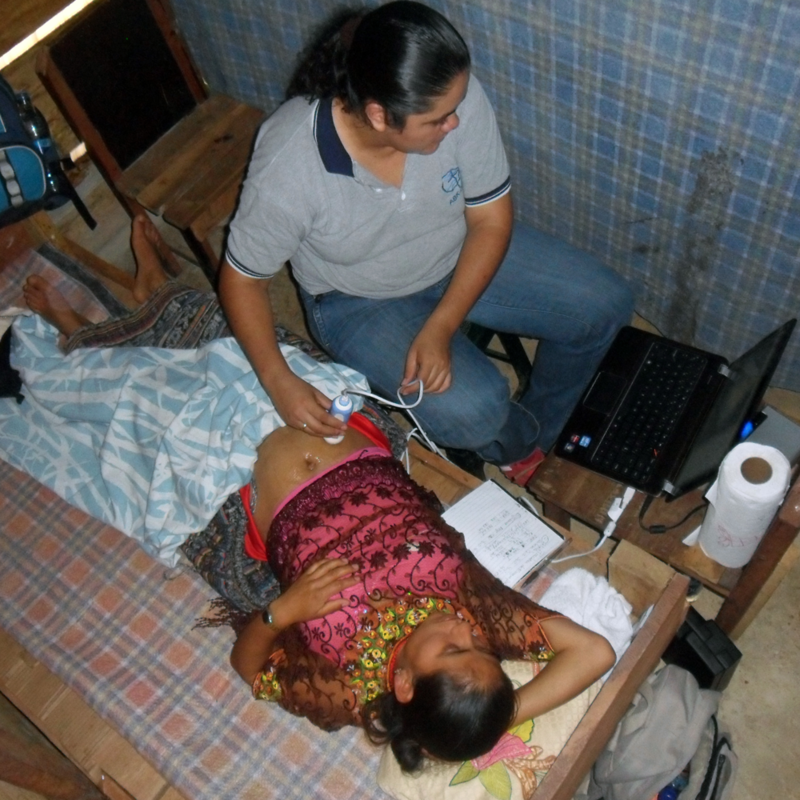 However, how can a ultrasound test be carried out in places where there is no electricity? How can medical tests for early detection of infections be carried out in isolated areas that impede to transfer blood samples to a lab without breaking the cold chain? EHAS and TulaSalud are supporting the work of the itinerant health brigades with equipment specially designed for using in rural areas. 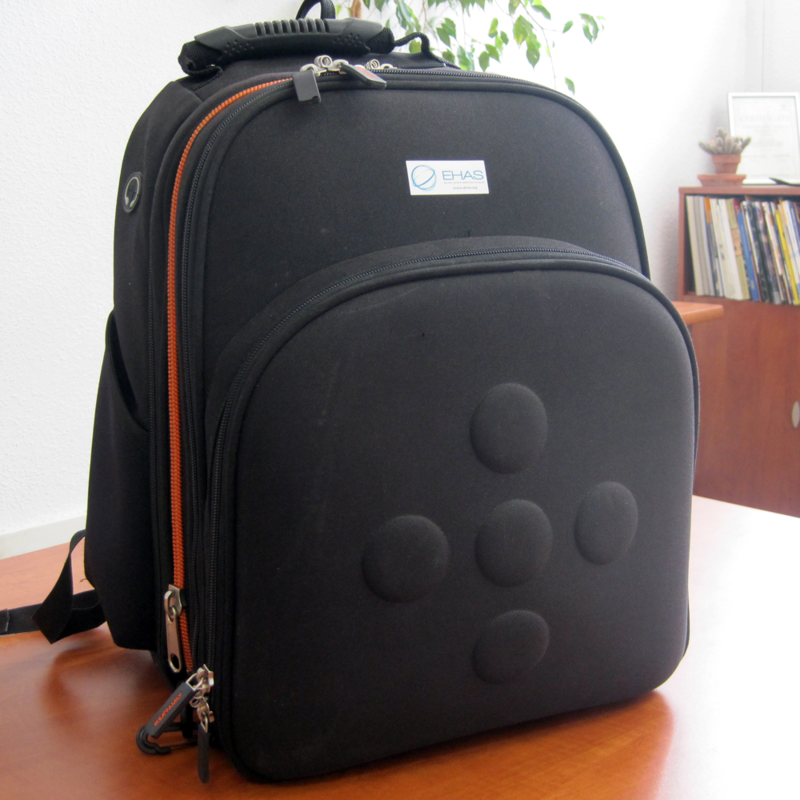 Health staff are equipped with a simple backpack that includes a portable ultrasound with a folding solar panel for power, and a clinical analysis system using diagnostic test strips, which is particularly appropriate for remote areas. Combining both tests, a high quality control as good as the ones performed in urban environments with better access to health services is provided in isolated areas. 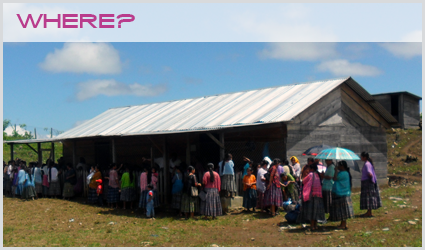 The initial stage of the project started up in Alta Verapaz between June 2012 and February 2014 attending to 1,000 pregnant women. UPM and the MSPAS of Guatemala were the first supporters of this pilot whose results open a truly optimistic prospect on protecting the right to health of pregnant women in developing regions: reduction of maternal mortality to 0 in the selected sample and 65% of neonatal mortality. 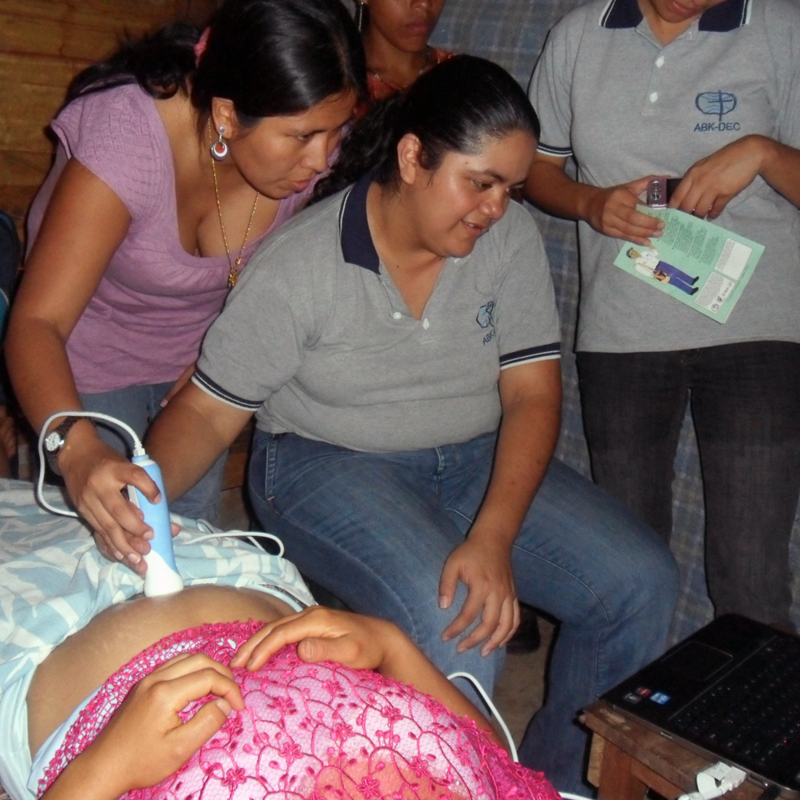 Prenatal checks have shown that the use of these tools can provide a healthcare with a similar quality to the attention offered in urban areas, by detecting health complications on time and avoiding urgent transfers in the moment of labor with high risks to the women lives. These successful results have sparked the interest of other international cooperation agencies. In addition to continuing UPM and MSPAS support, AECID is funding the introduction of the project in a new Department of Guatemala, San Marcos, providing health controls to 4,500 women since June 2014. Moreover, pregnant women from Alta Verapaz will follow having access to these services thanks to the support of USAID, who is backing the extension of the project to 3,000 women through its program Development Innovation Ventures since July 2014. In the same way, the MIF, a member of the Inter-American Development Bank (IDB) Group, has recently confirmed its support to the initiative, ensuring a risk-free maternity to 3,000 new women of both Departments. These reinforcements for the work of EHAS and TulaSalud will make Guatemala a referent in the fight against the biggest health gap in the world in an appropriate, sustainable and innovative way.